Barcelona Fashion Week at Hospital Santa Creu i Sant Pau – Throwing the Barcelona hat in the ring with the big four, New York/London/Milan/Paris circuit, Barcelona fills the modernist building, twice a year with runway shows to improve the exposure from the Spanish designers. We were photographing the Little Creative Factory runway show. Introduced with an exquisite display from ballet dancers. This dance performance ran throughout the show. 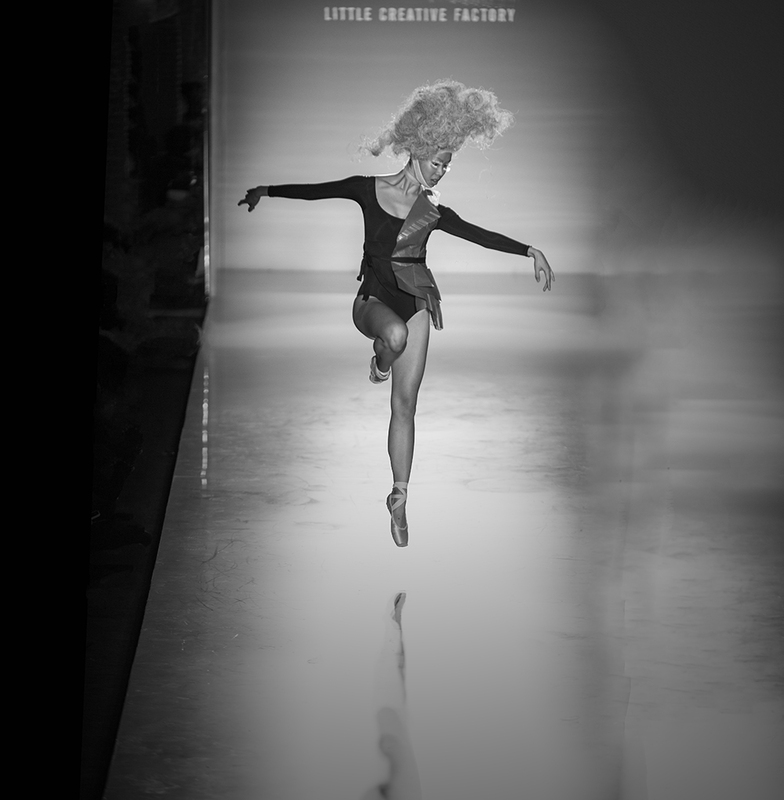 Ballet dances and models intertwined, showing a collection from 080 Barcelona which was the creme of the crop and the highlight of the fashion week. Cristina Fernandez is the designer from Little Creative Factory. Her story from her clothing brand began when she made a hat for her young daughter. People began asking her where she purchased it and where they could get one for their kids. This developed into a clothing brand for children. She developed the children’s brand for years, moving away from her architectural business and deciding instead to follow a passion even greater than architecture. From those early days, Little Creative Factory has designed their first womenswear collection, which they will take to Paris. The selling period is this month for collections Spring Summer ’19.. We will see Cristina’s team in Paris as we will be there for six days photographing and working with some small fashion brands, working on their social media content throughout the selling period. Fashion photography and portrait photography, particularly womens fashion compride a large proportion of our annual commissions now. It dovetails beautifully with wedding photography and in fact what we learn from high pressure fashion shoots can easily be transferred to our wedding portrait sessions on someone’s special day. Powerful portraits of the bridal fashion in some of the hotspots across the Balearics can be made into special prints on the best fine art paper. They are a valuable addition to the complete wedding portfolio.